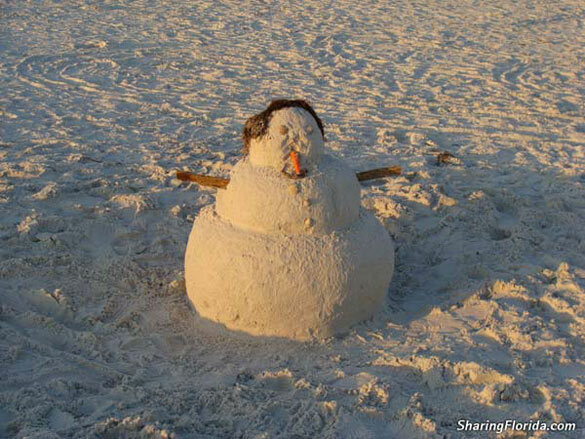 Funny photo of a Florida snowman - a snowman made out of sand and shells. Photo taken at Redington Beach Florida. Located on the Gulf Coast of Florida. Seaweed hair! This photo was taken Christmas Day 2007 at Redington Beach on the Gulf Coast of Florida. Someone had made a Florida snowman, complete with seaweed hair, shells for eyes and sticks for arms. The closest thing to a real snowman in Florida.